Hello everyone! For today, I'll be reviewing the Hard as Hoof Nail Strengthening Cream. I read so many great things about it & decided to give it a shot. I've had for 3 months now and finally decided to do a review on it! Enjoy! -Description: This cream is supposed to prevent the following: splits, chipping, thin/fragile nails. You are recommended to apply this 3 times a day & it can be applied over nail polish. -Smell: Omg, this stuff smells incredible! It has a light almond scent with cherries! -My thoughts: I feel like this does NOT prevent chipping or splitting. I do apply this 3 times daily and the only thing I've noticed it that my nails are somewhat stronger. I guess this is one of those products that doesn't work on everyone. The only thing I did like about this is that whenever I get out of the shower, my nails feel so weak & after I apply this my nails instantly absorb this and nourishes my cuticles. So point is: I wouldn't recommend this product. I feel like you could get the same results with good cuticle cream/oil. 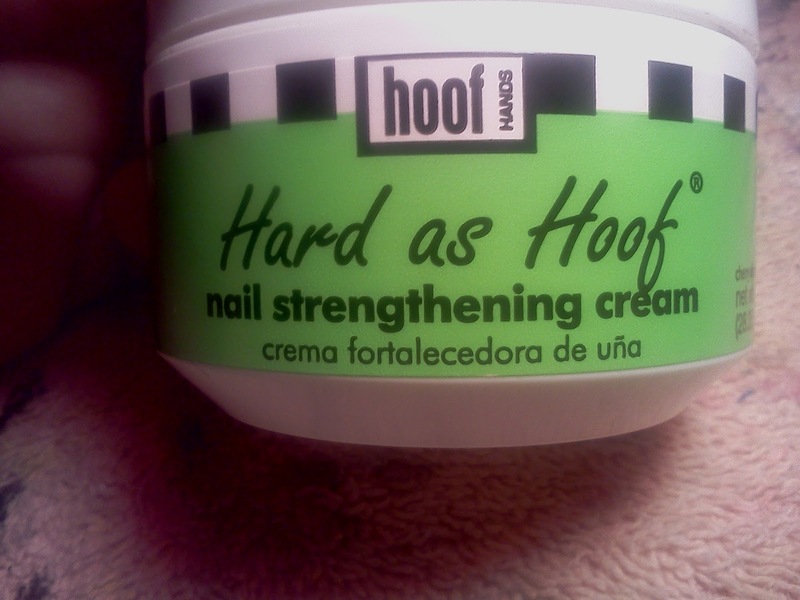 Glad to read your post on our Hard as Hoof Product!! This is one of our top sellers and we have heard so many success stories on how well this product has worked for women!! Thanks for taking the time to write about us!! I am not sure why it did not work for you. I recently bought it online at a store called ineedbeauty because a friend recommended it. I saw my nails get stronger after only a few days which is great because they are normally very weak. I also loved the smell.